#AndamurCumple, the road show of our 30th anniversary. Andamur Cumple: a road show taking Andamur’s 30th Anniversary across its service stations in Spain. Andamur’s truck will drive through secondary roads towards each service station, where it will stay for a week. 2017 is a year of celebrationfor Andamur, our 30th birthday. The company, specialist in fuel supplies and related services, has organized a road show to celebrate it. 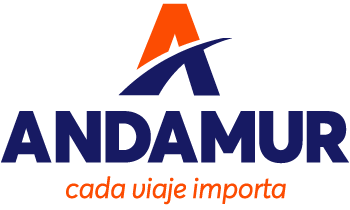 The event, under the hashtag #AndamurCumple, will take Andamur’s 30th Anniversary to all the service stations the company owns in Spain. Andamur’s truck will be the key element of the celebration and will travel through Spanish roads to Andamur’s service stations, where the vehicle will spend a week. In this “30th Anniversary” truck, customers will have the opportunity to celebrate with the company this relevant moment of Andamur history. There will be presents, a raffle -giving away a Mediterranean Cruise-, and games. Customers will have a fun and relax in a friendly atmosphere. However, #AndamurCumple not only refers to the company’s birthday. Andamur “Cumple contigo” (complies with your requirements) due to its cutting-edge security systems and the premium quality of its products and services. “Andamur truck” will start the road trip in Guarromán (jaén) and will stay there from 10th to 15th October; next stop will be San Román (Álava) from 17th to 22nd October; followed by Pamplona (Navarra) from 24th to 29th October; and, finally, La Junquera (Gerona), from 31st October to 4th November. The event will be over in Andamur’s brith places: Lorca (Murcia), from 7th to 12th November, and El Límite, Huércal-Overa (Almería) from 14th to 19th November. Nevertheless, this is not the first event organized to celebrate the 30th Anniversary. The party started last 22nd June, with the opening of the new Andamur business centre (Centro de Negocios Andamur), located in Saprelorca, the industrial area in the city of Lorca (Murcia). The company’s headquarters were the first place where the celebration was held; a mass event to which customers, suppliers and Andamur’s friends were invited. However, Andamur did not forget about its stations and end customers, the drivers, so the company will drive along with them by means of this special road show. https://www.andamur.com/wp-content/uploads/2017/10/andamur_340.png 0 0 andamur https://www.andamur.com/wp-content/uploads/2017/10/andamur_340.png andamur2018-04-17 10:34:512018-04-27 18:39:07#AndamurCumple, the road show of our 30th anniversary.